When it comes to the discussion of realtime court reporting in the context of a legal procedure, there's a stark contract between its importance in the eyes of the public and in the eyes of those within the court system. For example, there are few in the local legal profession who don't have a healthy respect for Wisconsin court reporters. However, in the public sphere, the idea that the court transcript is vital to any court hearing is often overlooked. This is why many outlets take the time to examine the idea of what a court reporter does and why the profession is so important. The latest such outlet is Sadaka Associates, a law firm that is based out of New York and New Jersey. 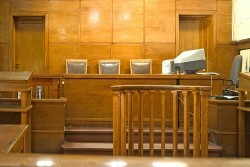 In a blog piece posted in the website's blog, the firm detailed the specifics of the profession. 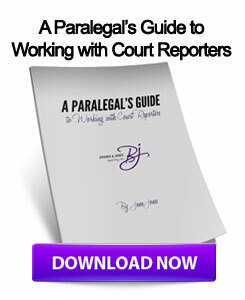 "A court reporter acts as an officer of the court," the article says. "While many court reporters record events that take place inside of the courtroom, others record meetings or depositions that occur at an attorney's office or other location outside the courtroom. When a court reporter is present, it reminds the participants that the meeting or deposition is part of the official record in the case and that everyone should behave and respond accordingly." The article goes on to discuss the importance of a court reporter's role in providing the official record, especially in depositions. When an individual speaks, it's important that his or her statements are recorded before trial proceedings and that each side has an accurate copy of what those statements are. This way, should there be discrepancies at a later hearing, either the prosecution or defense can point out flaws in the testimony. This entry was posted on Friday, April 12th, 2013 at 6:35 am	and is filed under All Posts, Court Reporting Services. You can follow any responses to this entry through the RSS 2.0 feed. You can skip to the end and leave a response. Pinging is currently not allowed.